Tune in to hear what these home improvement experts have to say. 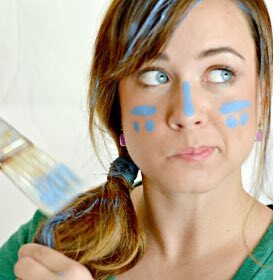 There are currently no Upcoming Guests. So, you’re buying or selling a home? How exciting! Matt Curtis Real Estate (MCRE) knows this process can be nerve-wracking and overwhelming. They get it, and that’s why MCRE operates differently than other real estate groups. Instead of asking agents to run every aspect of the business, MCRE's hired proven experts to manage specific departments and tasks including admin support, marketing, listing management, sign installation, and the closing process. This leaves agents free to focus on providing the best customer service, finding the best listings, and negotiating the best deals. In his spare time, Matt fully embraces the MCRE commitment to giving back by building homes in Nicaragua, coaching basketball and has served as Madison Academy’s K-6 basketball coordinator. He also led his all-star basketball team to the state championship. Matt also serves on the Madison YMCA Board of Directors, Alabama Center for Real Estate (ACRE) Leadership Council and the Committee of 100. 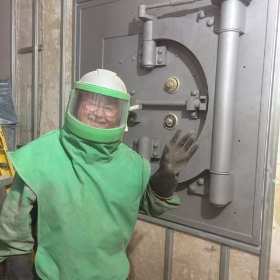 Lifesaver Storm Shelters of North Alabama provides the highest quality, most affordable, certified & tested underground tornado shelters & tornado safe rooms to keep you and your family safe during severe weather. Tune in Saturday to hear about weather safety, free items and much more! 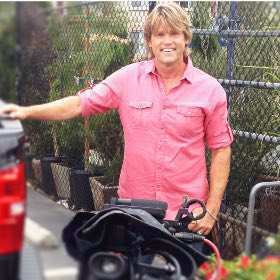 Eric’s entertaining DIY advice and infectious personality have won the hearts of millions of viewers nationwide. He’s been a spokesman for SEARS/Craftsman Tools and can be heard regularly dishing out home improvement advice to listeners of Adam Carolla’s nationally syndicated radio show. Also, Eric has a full length country music album in Nashville, called FIX IT MAN, that was performed on AOL SESSIONS. Eric has also been a special correspondent for the syndicated entertainment news magazine, THE INSIDER. Tune in at 9:00 AM CST to hear what Eric has to say to YOU, the homeowner! Jackson Plumbing, Heating & Cooling is a locally owned and operated Plumbing, Heating, & Cooling company in North Alabama. They have been serving the great people of the Tennessee Valley since 1987. In 2014 he received the Acidified Foods Better Process School Certificate from Auburn University followed by the National Environmental Health Association’s Hazard Analysis & Critical Control Points (HACCP) Manager Certificate in 2015. 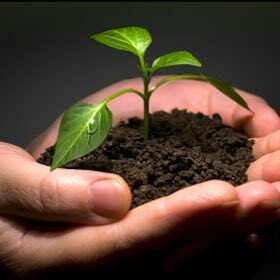 He has presented at the Alabama Food Protection Association’s annual meeting and attends Auburn University’s annual Food Entrepreneurial Conference. He sits on the Huntsville Technology School Culinary Board and has served as a judge at the Alabama Restaurant & Hospitality Association’s ProStart competition. 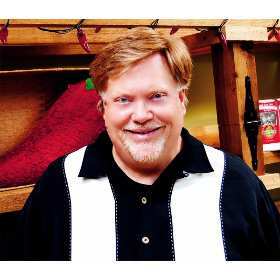 Tune in Saturday as Jay lets us know what dishes you should be cooking this holiday season! 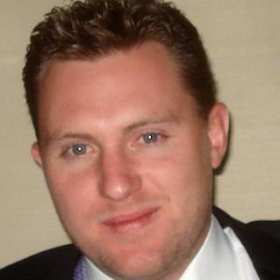 Stephan is the Co-Owner & Director of Sales & Marketing of MrHQ, Metal Roofing Headquarters. MrHQ is headquartered in Irondale, Alabama and is passionate about delivering an exceptional remodeling experience. Stephan is an alumna from Auburn University with years of experience in marketing, sales, and management. Tune in to hear what he has to tell us! A decade ago, John Lacik built a custom home on a mountain in Huntsville, Alabama. Now, the former design engineer has turned his decades of experience into a successful Floor Coverings International business located at 2506-B 5th Street SW in Huntsville. Bringing his technical know-how to North Alabama with the franchise famous for its mobile, personalized at-home flooring solutions, he now says that he's doing a job that feels less like work, and more like a chance to follow his lifelong dream. John took to both entrepreneurism and technology at a young age; at 14, he started his own TV and radio repair business out of his parent's house. After college, he took a job as a design engineer, and then spent the last three decades working in sales in marketing. In 2007, John purchased a cell phone franchise, but the opportunity fell through. Not daunted by the failure, he looked elsewhere until he came upon Floor Coverings International. 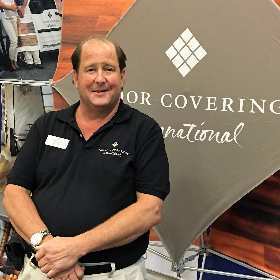 "When I found out that Floor Coverings International's primary brand differentiator was a mobile concept that brings the flooring store directly to the client, my interest was piqued," John says. "I also realized that the experience I had building our house could be helpful in the business. Most folks that know me would probably be shocked that I went from a high tech nerd to the flooring world, but there is actually a lot of technology involved in the flooring business today and educating clients on the newest types of flooring is one of my strengths." The technology that excites John most, he says, is the energy-efficient flooring solutions which stand to benefit homeowner and environment alike. "Most homeowners don't realize the impact contemporary flooring can have on their pocketbooks. But eco-friendly flooring options like flooring made from cork or bamboo not only looks great, but also has less of an impact on the environment than flooring composed of other materials." Along with his wife Lisa, sister-in-law Beth Beatty, who is one of the franchise's design consultants, and their newest design consultant, Gale Davis, John has been providing the community with flooring that can be made uniquely theirs. With Floor Coverings International, they bring flooring products to a customer's home and create solutions customized to their home's layout, their tastes and energy considerations. "From flooring options tailored to high-moisture areas of a home like a basement, to heated tiled flooring in bathrooms, the options we afford customers are almost limitless," John adds. 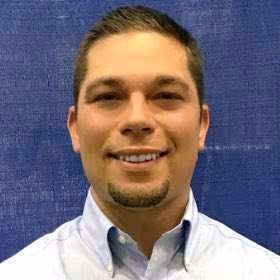 John says that while he enjoyed his previous entrepreneurial endeavors, with Floor Coverings International, he's found a career he wouldn't give up for the world. "While I greatly enjoyed my progressive career through the leadership roles I had, the cyclical nature of the business kept leading to recessions and layoffs. I can honestly say I truly enjoying seeing the joy on the client's face when we transform their room into something new. With Floor Coverings International, I feel more confident that I can use my career skills to grow a thriving business and provide the high level of customer service that all clients deserve." 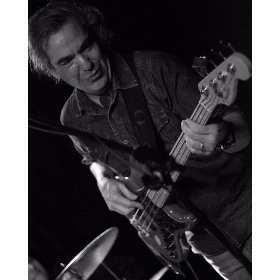 Live on the show this Saturday is Ed Roman! Returning House Studs guest, Ed Roman, is an Award-winning singer/songwriter, performer and multi-instrumentalist from Shelburne, Ontario, Canada. Ed is not only a earthy, funky music machine, he is a seasoned gardener that will provide tips to listeners this week on how to prep their garden for summer's conditions! Hi, I'm Sarah! I like tearing my house apart and putting it back together again. Join me for do-it-yourself home improvement tips, tutorials, and renovation realities from a single gal in the power tool aisle. Luke Thomas started his home improvement business in 1978 and purchased his first investment property in 1979. In 1980 while doing home improvements, Luke ventured into commercial real estate services with a focus on roofing. After acquiring more real estate, Luke sold his business in late 1986. Since then, he has continued to purchase residential real estate while being active in real estate brokerage, mortgage banking, property management and corporate finance. Luke now advises real estate operators in a number of cities. Most of those operators; buy, fix, rent and sell houses and/or wholesale homes. 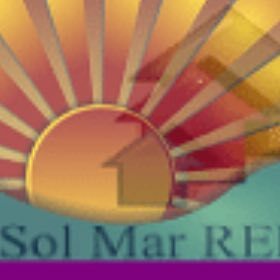 He also offers Mentoring programs, Webinars and FREE 1 on 1 phone consultations, which you can get more info at www.SolMarREI.com. 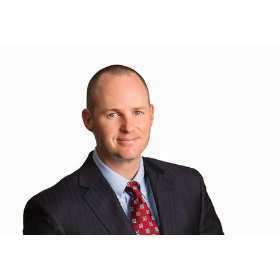 Luke has been involved in 1000’s of real estate and business transactions in about a dozen states and since 1987 he has helped homeowners, businesses and investors with cash management and retirement related issues. 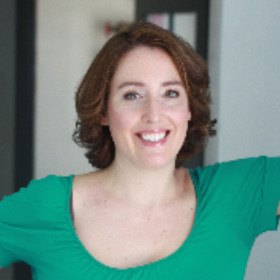 Professional Organizer & Speaker, Alison Kero grew up with 2 different organizational styles being modeled to her. One parent was precision neat while the other was a pack rat. Through her teenage and college years Alison lived more like her pack rat parent but when she became an adult she realized that disorganization was costing her more time and energy than she wished to spend and realized there had to be an easier way. When Alison became an organizer in 2004, she constantly searched for ways to make her clients lives and her own, easier through organization. However, minor amounts of clutter always tended to creep up in Alison's life, which she found frustrating and kind of exhausting and she wanted to find the key to motivating herself and her clients into making smart decisions to keep their lives on track. Alison finally realized that using self love as her decision making tool she could create her best possible living space filled only with what she liked, used and needed. 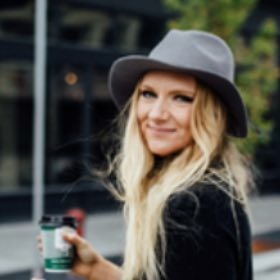 It was the only way to ensure the outcome would be life transforming because she realized she was now only seeing good things in her home and life and she was beginning to find herself underneath some of the clutter.By first using self love in her organizing process, Alison was then able to transfer those same easy and simple techniques into all decisions she made in her life. Whether it was who to spend time with, what activities she chose or objects she brought home, Alison had found that many parts of her life were beginning to improve because of her self-love decision making; increased energy, productivity and overall contentment were just a part of what she's been seeing show up ever since. For over 20 years Tony has been employed in the public safety industry as a firefighter/paramedic. During this time he has also worked in various areas of the construction industry. In the last few years his family has moved and rebuilt a log home. In doing this, he began looking into green energy and ways to make their home more energy efficient. Part of this search lead his sons and him to begin a spray foam insulation business. Katie Rogers Feng Shui is based in the vibrant Birmingham, Alabama. Katie offers consultations world-wide via Skype. and/or phone. Katie received her certification in Feng Shui in 2003-4 through the Feng Shui Training Center in SLC, Utah where she studied under author Sharon Stasney in the Tibetan Black Hat tradition through the line of Grandmaster Lin Yun. Katie is currently a member of the International Feng Shui Guild with Professional Red Ribbon status. Katie stumbled upon Feng Shui in 1998, when working in a “sea of gray cubicles” under fluorescent lights. She intuitively grasped the negative effects this environment was having on the employees and had the bright idea to “make up a job going into businesses to make the environment better in order to create happier, more productive employees, therefore enhancing the bottom line of the company.” While browsing the interior decorating aisles of a bookstore in Austin, she came across Feng Shui and saw that job already existed. She put some of the tactics into place in her own home and in those of friends, and when she immediately started getting results, she was hooked. Tune in Saturday, August 20 to hear from Katie Roger's! You DON'T want to miss this! Interior Stylist, Kirsten Grove, has always had a passion for interior design…well, at least since she was 9 years old and was given free reign at decorating her bedroom. Back then, she chose an eclectic palette of rainbows, polka dots, and stripes. Today Kirsten uses Simply Grove as a creative outlet for all things aesthetically beautiful. Started in 2008 as a way to show off eye catching design and decor from all over the world, Simply Grove has become a hang-out for like-minded creatives with a love of interiors and an appetite for design eye-candy. Kirsten has styled and designed for clients all over the world. Some of her favorite projects include residential in Seattle, Manhattan and Denver, as well as a commercial in Boise and many more residential consultations online all over the states. Don’t be surprised if you have seen Kirsten’s creative writing (as a contributor) on Marthastewart.com, Better Homes and Gardens and Caesarstone, to name just a few. Or featured in publications and sites such as Inside Out Magazine, Lucky Magazine, Real Living Magazine, Better Homes and Gardens, Gray Magazine, Elle Decor.com, HGTV.com, Pottery Barn, Domino.com, Apartment Therapy and Design* Sponge. Kirsten was included as Domino’s Best Design Blogs for 2016 as well as named Saveur’s 2015 Editors Choice for Home Style and Design Blogs. She was also one of Better Homes and Gardens top 10 best decorating blogs. She has been a speaker at Alt Summit 2011, 2012, 2013 and 2015 as well as other conferences around the states. 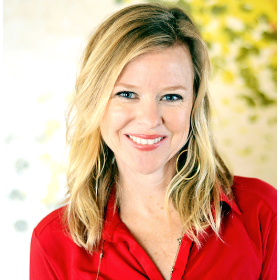 Kirsten has collaborated with major companies such as GMC, Benjamin Moore, Target, Nissan, eBay, Sherwin Williams, Pottery Barn and Lowes.